Reassurance shield as 58 Alternate joins US-19. 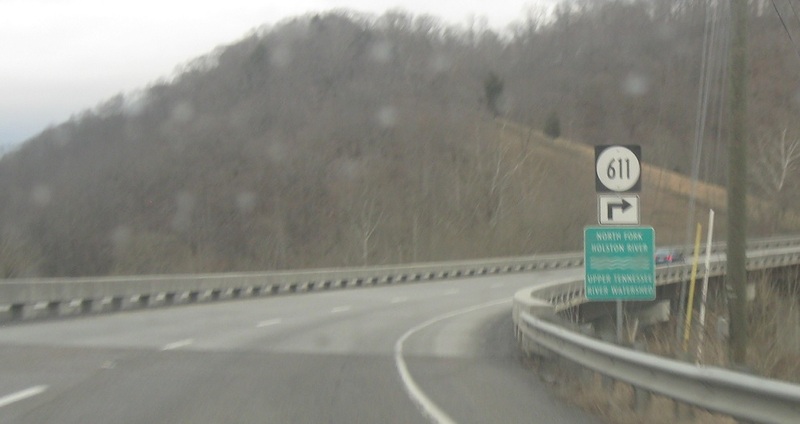 Turn right for SR 676. 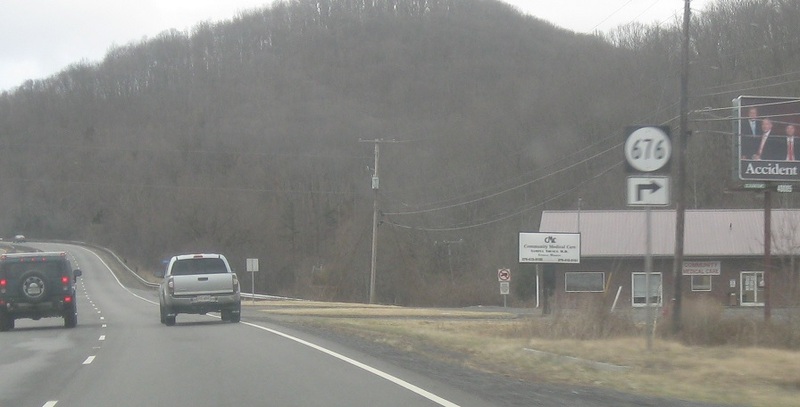 Turn left for SR 690 as we enter Washington County. 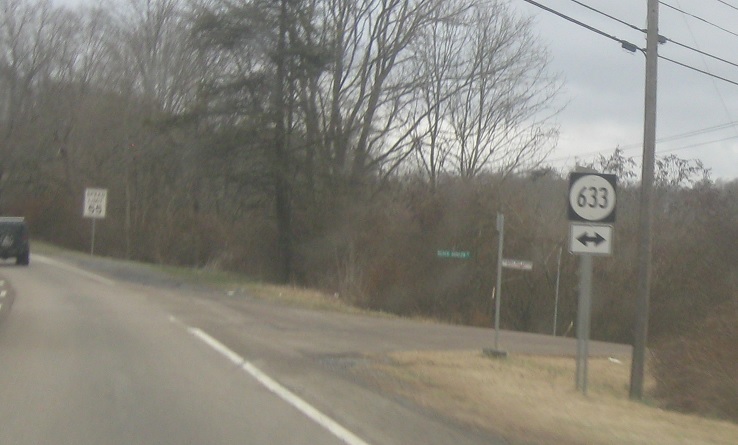 Turn left for SR 689. 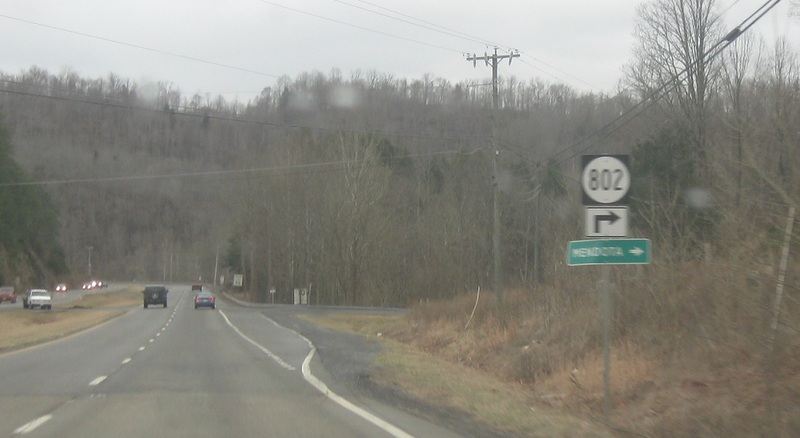 Turn right for 802 towards Mendota. A couple hundred feet later, turn right for SR 876. 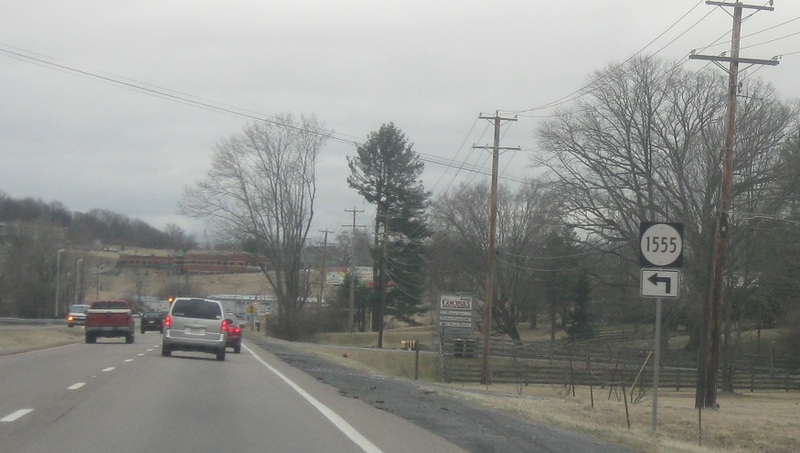 Turn left for SR 611. 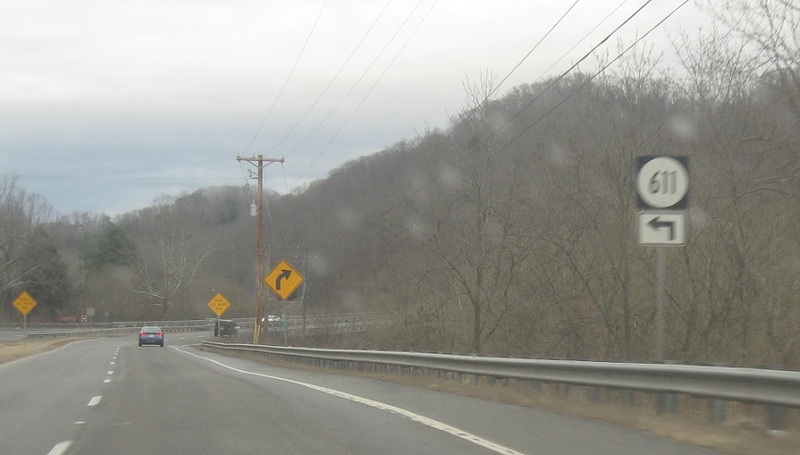 As we cross the Holston River, turn right again for SR 611. 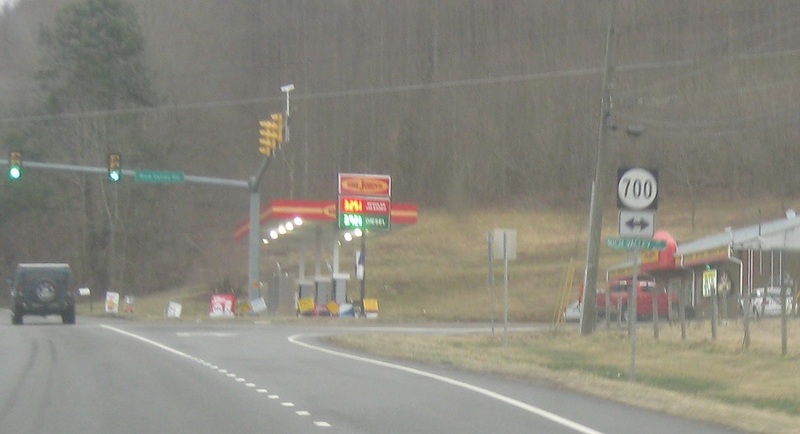 At the light, we’ll approach SR 700. 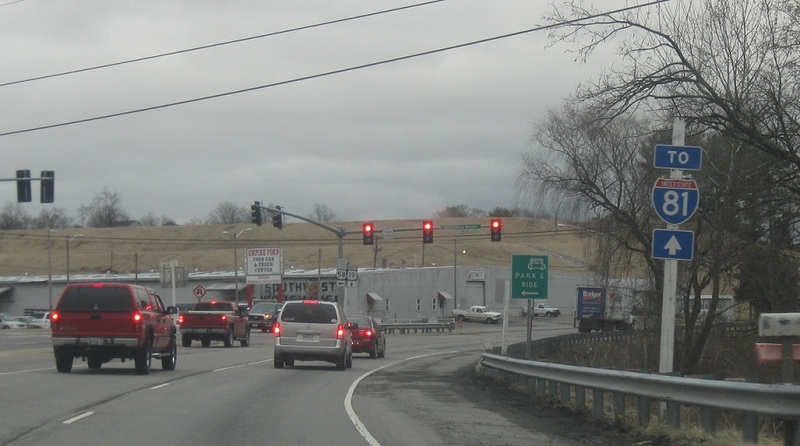 Turn right or left for SR 700. These signs are kind of lame because they sort of indicate a t-intersection, which is not the case. 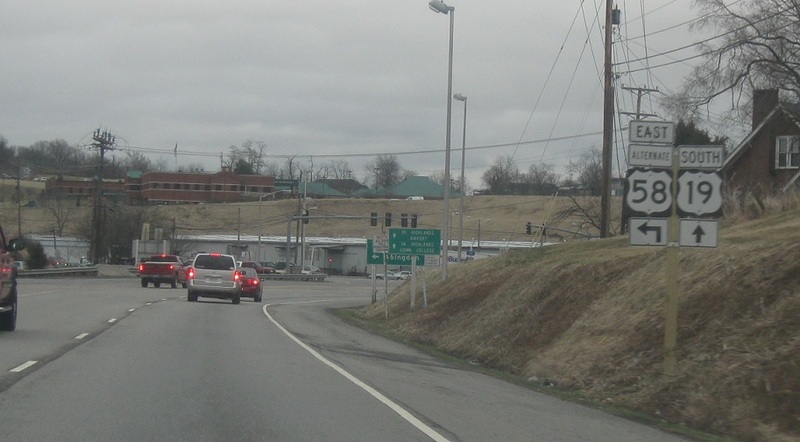 Turn right or left for SR 633. 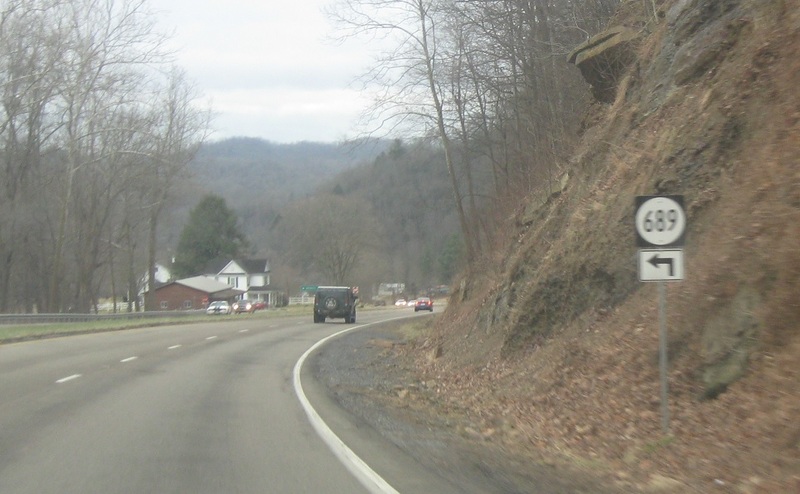 Turn right for SR 910. 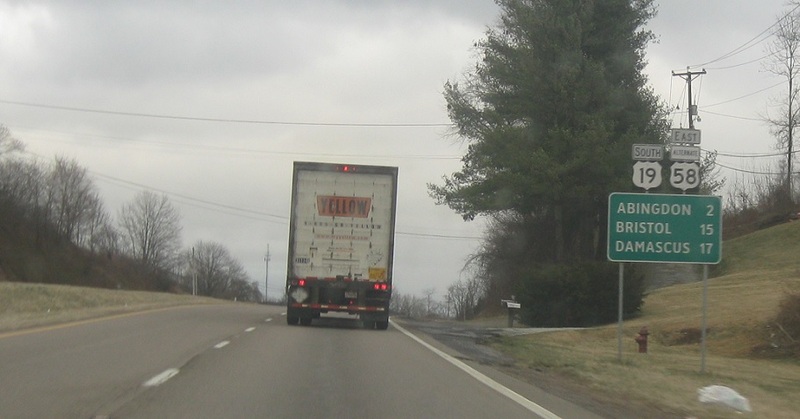 Turn left for SR 633. 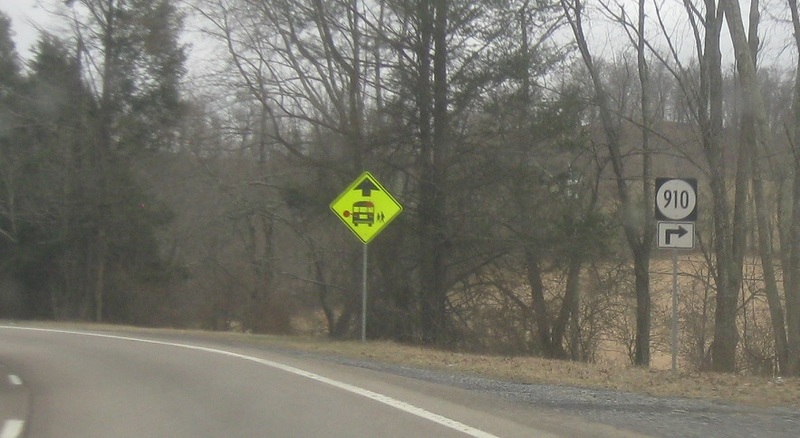 Reassurance shield after SR 633. Turn left for SR 1511. 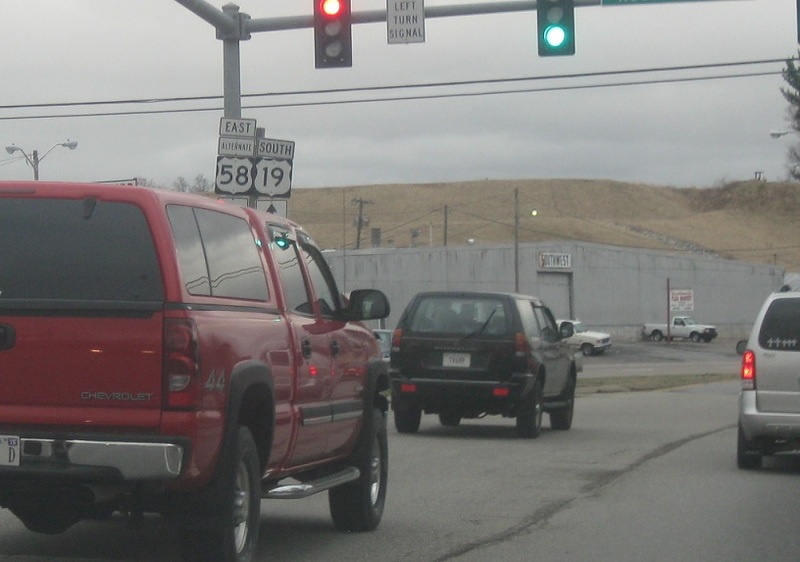 Turn right for SR 1502. 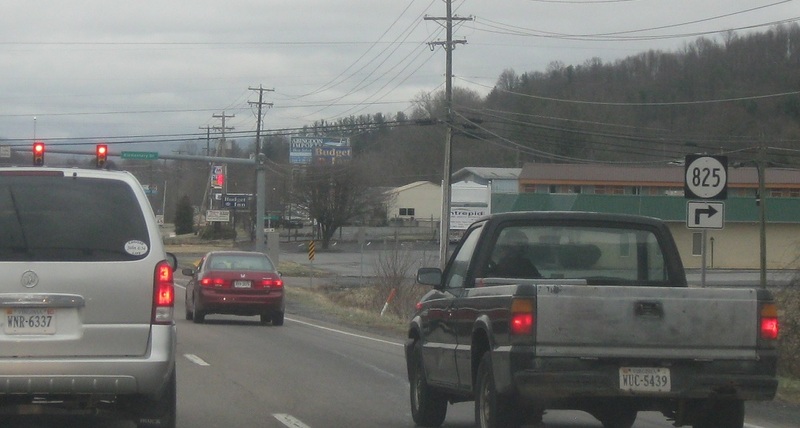 Turn right for SR 825. 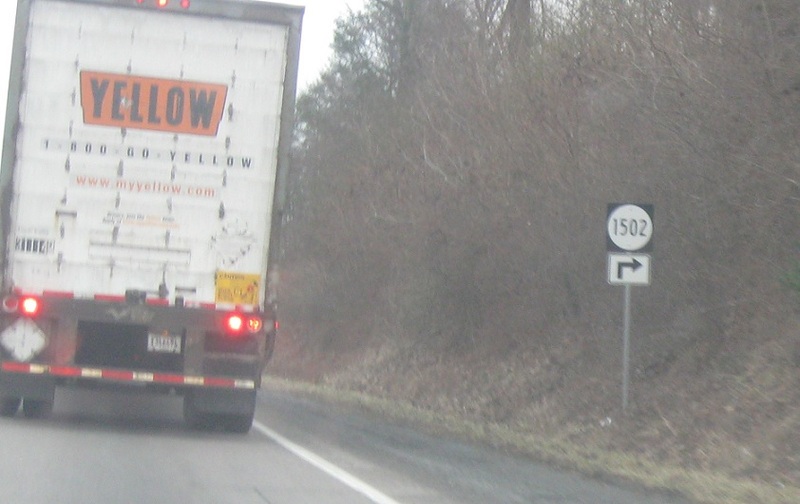 Turn left for SR 1533. Turn left for SR 848. 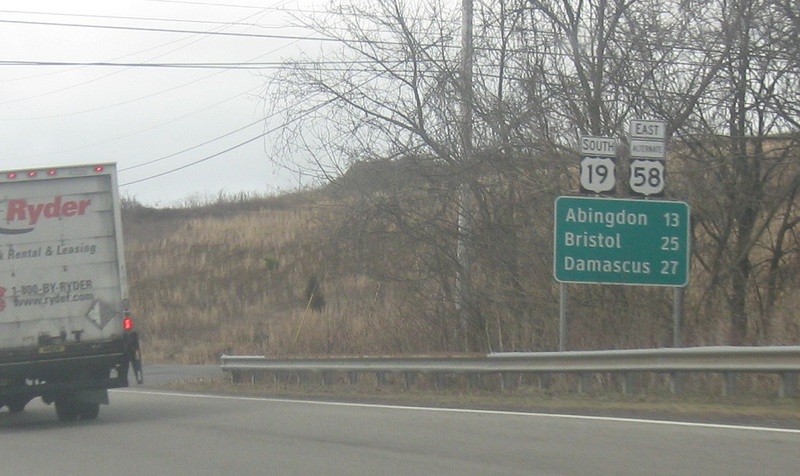 As we enter Abingdon, turn left for SR 1555. 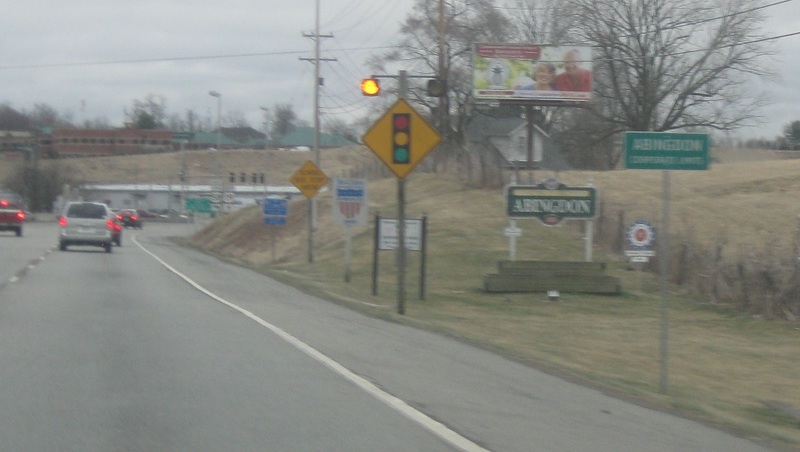 As we enter Abingdon, US-58 Alternate splits. 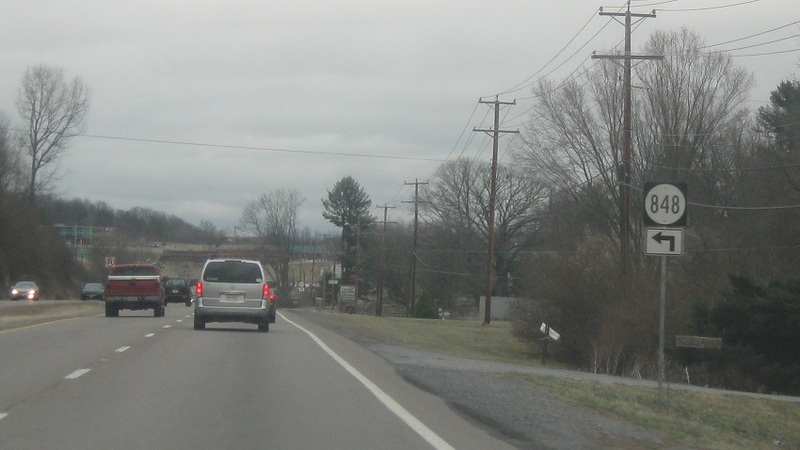 Follow 58 Alternate east into downtown Abingdon. Stay on 19 for Bristol. 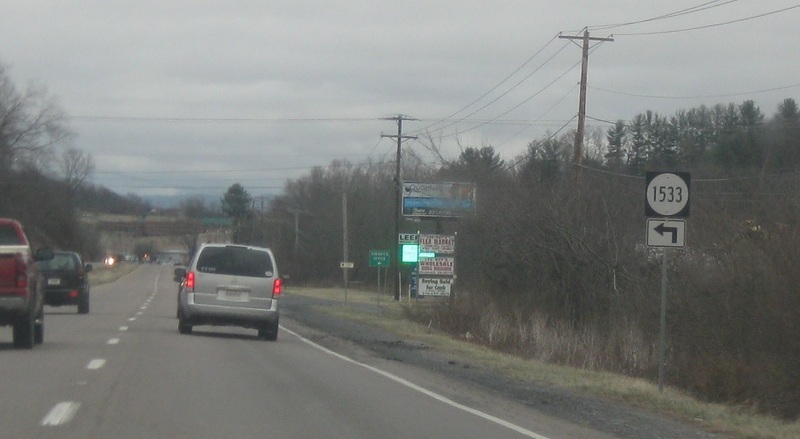 Stay on 19 to access Interstate 81. Turn left for 58 Alternate east. 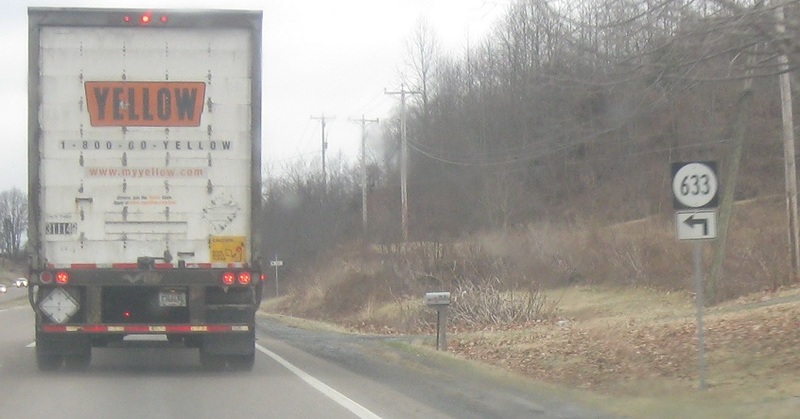 Stay straight for 19 south.